So it's that time again... Non beauty favourites time!! I've really been enjoying sharing my non beauty favourites with you all, it's so nice to add something a little bit different to my blog each month and I personally think it's a great way for me to look back and see what I was loving non beauty wise throughout the year. I'm going through a phase at the moment where I'm re-watching loads of TV shows that I love season by season, last month I completed the entire 5 seasons of The Hills and this month it's been all about Prison Break! Man I love this show, every episode ends on a cliffhanger which makes me stay up super late as I literally cant turn it off not to mention Michael Scofeild and Sucre are very nice to watch if you get what I mean ha ha. I'm already half way through Season 4, which is the last season (sad face), so if you have any recommendations of what I could watch next do let me know he he. My food addiction this month is easily these yummy Flipz Milk Chocolate Covered Pretzels, I used to be hooked on them when I was little and then all of a sudden they disappeared, but then a while ago when I visited my Mum we went into her local Tesco and to my absolute delight there is a whole American Food aisle, so now every time I go over my Mums I buy another bag ha ha, they are just soooo scrummy! 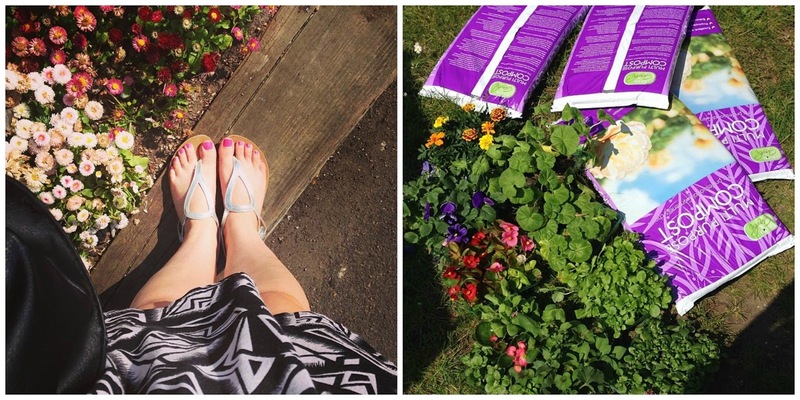 Yayy, finally in May we have seen some gorgeous sunshine and warmer weather, and in Norfolk we had what they call a 'mini heatwave', so of course this made me very happy, it just felt so nice to get my sandals and summer dresses back out, and that feeling of not being cold is just great! The warmer weather had also meant that I've been pimping up my garden ha ha, in the summer I'm a garden girl and in the winter I'm a baking girl so of course I went straight out and bought everything from, flowers to compost to solar lights and even wood chip ha ha, I'm so happy with how my little gardens looking now, the final result is totally worth the time and effort. 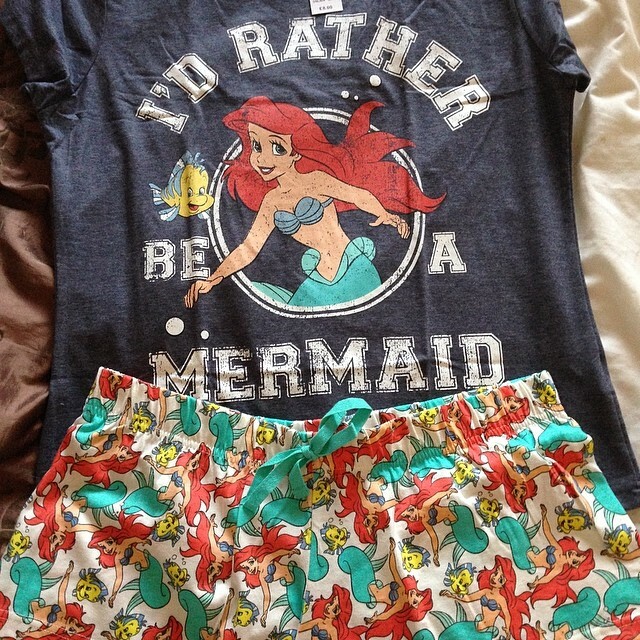 Oh my goodness, I think these are literally the best pyjamas in the world. They where £8.00 from Primark and I literally squealed out loud in the shop when I saw them and they want straight in my basket. I haven't stopped wearing these since I got them, they're just so comfy, cute and Disney, what's not to love he he. This month I had a long overdue girls night out and it was lovely, 6 of us just went out for some yummy food, some drinks and of course lots of girly chats and it was soooo nice, I'm definitely going to make it a more of a regular thing from now on, it's nice to let your hair down from time to time isn't it! 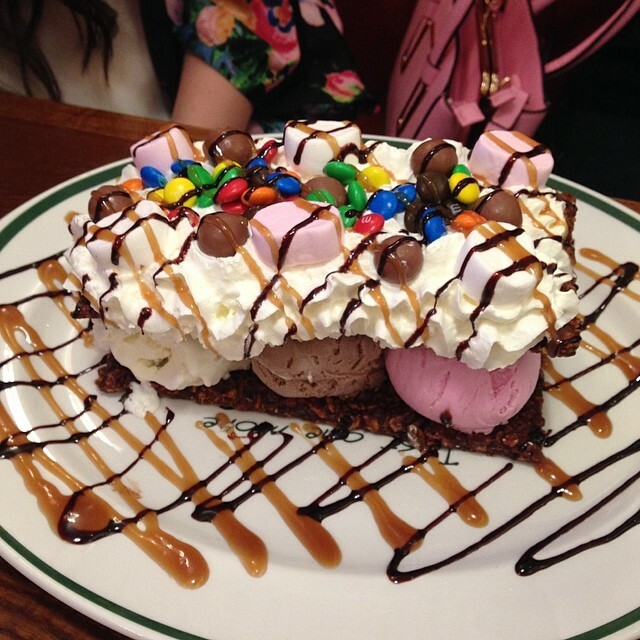 I just had to add this picture from that night of an extremely scrumptious dessert ( don't worry it was shared ha ha), you may have seen it on my Instagram but if not I've added it here just to make your mouth water he he, it's basically the most amazing dessert I've ever seen!! What have you been loving non beauty wise throughout May??? I'd love to know!!! I have those PJs too, I just love them. I love Prison Break too, we watched it again recently for the 3rd time and were still as hooked as the first time around, it's got the be the hardest TV show to switch off thanks to those cliffhanger endings every episode. I love those PJ's and still haven't got them :( I'm struggling to find my size, Primark are great for their Disney ones aren't they? Wow that dessert looks amazing!!! Its like 10am and you've now made me crave cake lol. Aw what lovely favourites for May! I really want to start watching Prison Break as I've been told it is really good! Going to have to get netflix to watch it! 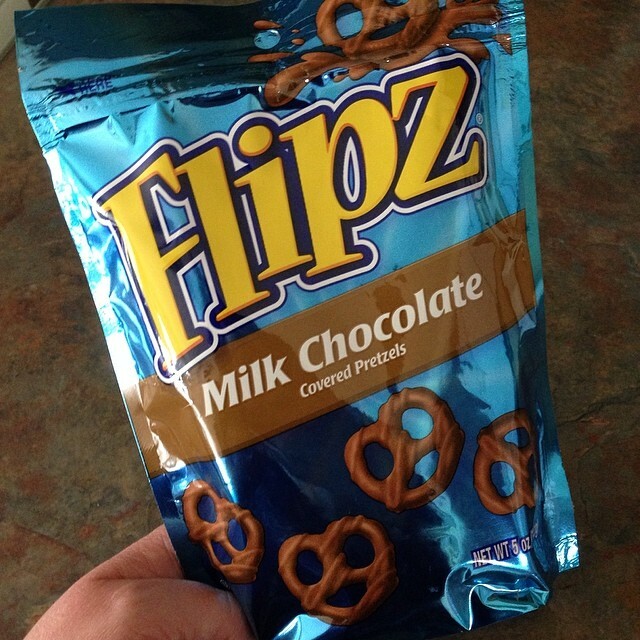 As for them flipz - I am in love the with cadburys chocolate covered pretzels!